This was the 52nd year of the Huntington Harbour Boat Parade, presented by the Huntington Harbour Philharmonic Committee. The Committee had 16 trophies to hand out, in categories from ‘Most Religious’ to ‘Best Commercial Entry’. 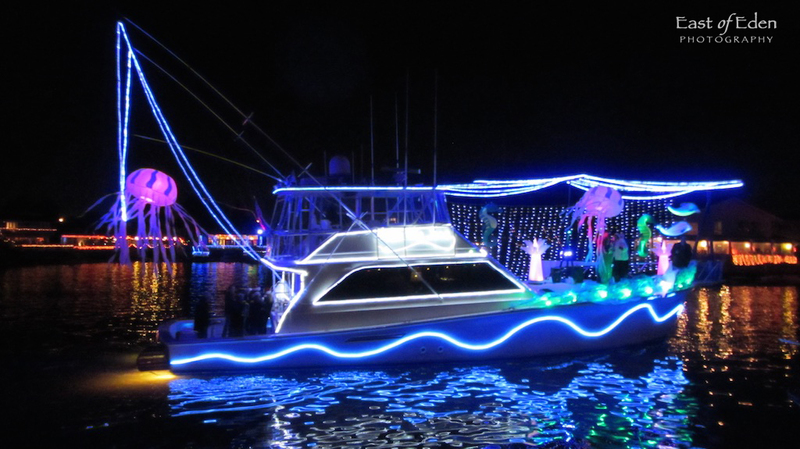 The Boat Parade is a ‘thank you’ to the homeowners of Huntington Harbour for decorating their homes for the annual Cruise of Lights®. You could cruise the harbor and view all of the other boats and the many decorated houses. 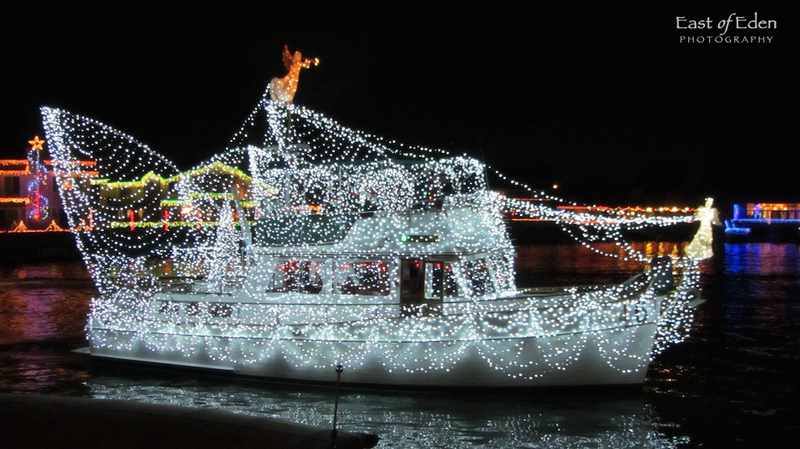 The Huntington Harbour Philharmonic Cruise of Lights® offers narrated boat tours through the waterways of Huntington Harbour in Huntington Beach, California. In December, both locals and visitors share the beauty of thousands of lights on brightly decorated homes, docks, decks and boats. To purchase tickets for the cruise, see Cruise of Lights® The proceeds from your tickets will be going towards a good cause! The Huntington Harbour Boat Parade and Cruise of Lights provides funds for the music education of Orange County school children. I was lucky enough to watching the boat parade from the deck of a friend’s home. Here are the best photos from that weekend. This entry was posted in Live INSPIRED and tagged California, Christmas, Holidays, Live INSPIRED, United States. Bookmark the permalink.